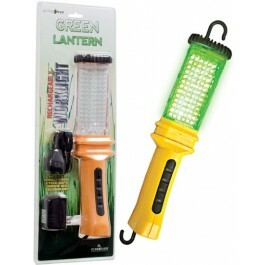 Green Rechargeable LED Work Light A powerful green LED light, use free standing or hanging with two built in hooks. 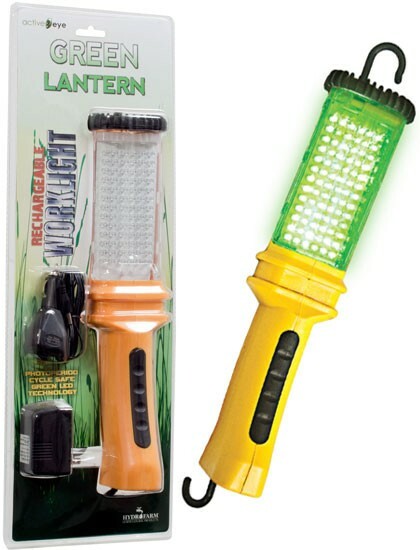 78 High-intensity LED bulbs deliver a wide beam of light for maximum viewing range. Comes complete with charger and car adapter. 100,000+ hours of burn time.